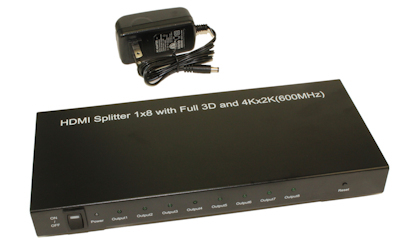 This is a high-performance and small-sized HDMI Ultra High Definition Splitter with hot plug and iron shell. 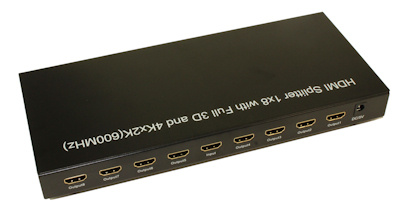 It distributes the input of the HDMI signal into eight identical outputs at the same time. It provides high performance audio and video output through HDMI cables up to4kx2k@60HZ resolution and is capable of receiving and transmitting up to 6Gbps (per channel, 18Gbps total)/600MHz bandwidth.